-Constructed with high quality polyester micro-fiber fabric for maximum durability and comfort. -Add style to your seats while protecting them from spills, stains, tearing, fading and more..
-Designed for quick and easy installation on most car and SUV bucket style seats no tools required. 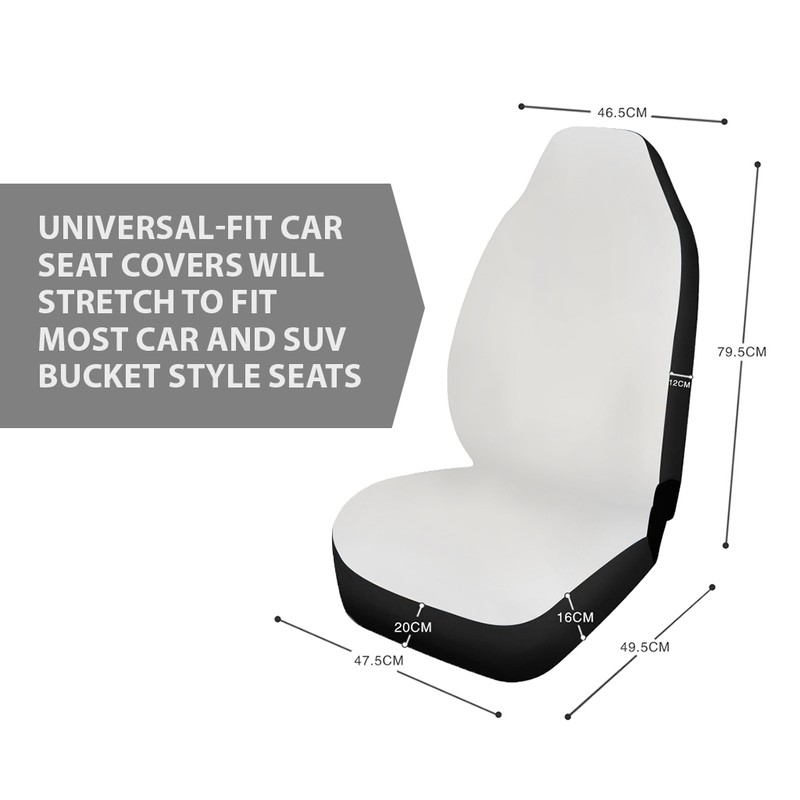 -Elastic backing and fastening system ensures a snug and secure universal fit on most standard car and SUV seats. -Not for use on seats with integrated airbags, seatbelts or armrests.